The German Beer Guy was founded in 2014. After a few bad beer experiences in the U.S. So I've decided to help beer have a better life here in the U.S. Some of my bad experiences have been beer served in a plastic cup, wheat beer (Hefeweizen) in a pint glass, or a regular Helles served in a wheat beer glass, orange slices in my beer, and I've been served old flat beer with no foam head... This isn't what beer deserves! People care about their wine, you aerate your wine, serve red wine in a red wine glass, and white wine from a white wine glass, which makes the wine taste its best. Same goes for pouring and food pairing. And this is exactly what you should do with beer too! So this makes me The German Beer Guy! I grew up close to the black forest area...yes, where they sell those coo coo clocks...and the Swabian alp, also Porsche and Mercedes come from this region. Then studied in Franconia where they have the highest brewery per capita and then settled down in the 'beer Mecca', Munich known for Oktoberfest! 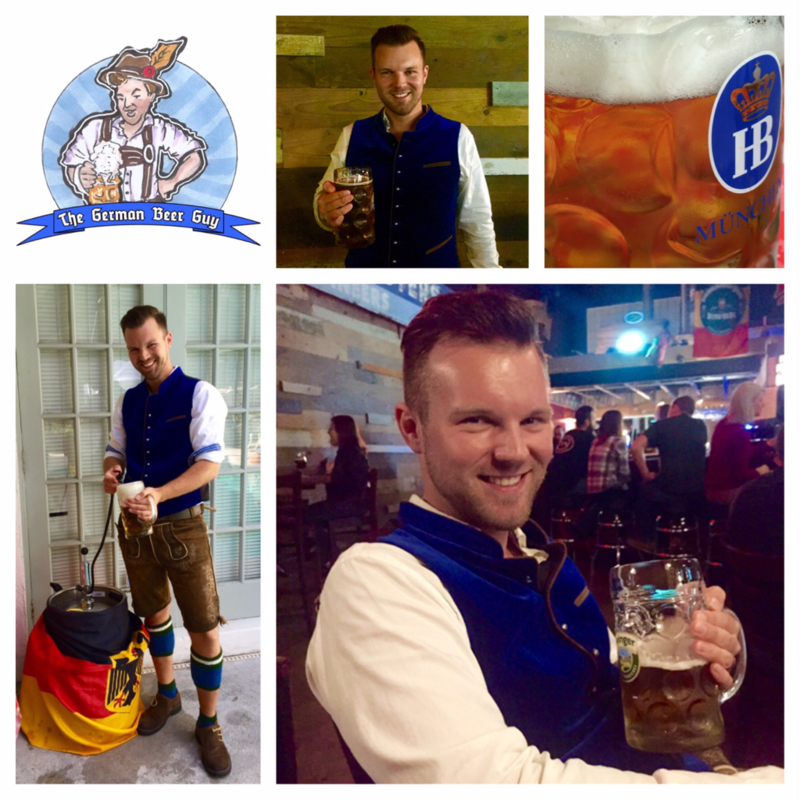 Now I'm living in the USA, dreaming about German beer and writing this blog. My grammar might be sometimes a bit off so don't judge me for that. Could be because English is my second language or I'm just a little drunk. And finally please drink responsible or as we would say in german: "Eins geht noch!" Yours, The German Beer Guy.